You must be a member of the Rome Luxury Group to attend this activity. Would you like to join this group? "Come find your Valentine with our Lock and Key game and spend midnight with your new sweet heart!" After the great success last week at Protected content we have managed to change our Valentines event to the 13th and make it extra special. After our previous great success we are coming back with our Lock and Key game. 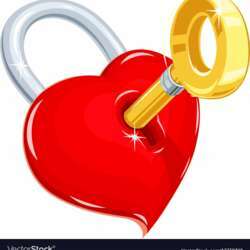 Don’t forget to bring your lock and key and if you find the right key for the right lock you will not only find the man or woman of your dreams but also a free glass of Prosecco each to celebrate your new steamy Valentine’s together! Girls in Red and Guys in Black&White, with DJ Set all night at wonderful Barry’s! A Prosecco, a cocktail or drink of your choice and infinite chances of winning extra flutes of Prosecco if you find the right key to the right lock! All just for 15 Euro. The smartest couple will win extra flutes of Prosecco at midnight! This is a MUST attend event if you are ready for a good time, and we can't wait to see you there! !